Question: Just what is it about a mouthless cat that appeals to so many people, young and old? Yep, I’m talking about Hello Kitty. I love cats, and I’d much rather cuddle up with one that has a mouth, thank you very much (don’t you think the sound cats make is one of the cutest in the animal kingdom?). As much as its popularity baffles me, there’s no denying that many Singaporeans are smitten by all things Hello Kitty. If you’re one of them, you’ll enjoy this latest collaboration: BreadTalk has partnered with Sanrio to become the exclusive bakery in Singapore to sell Hello Kitty treats. 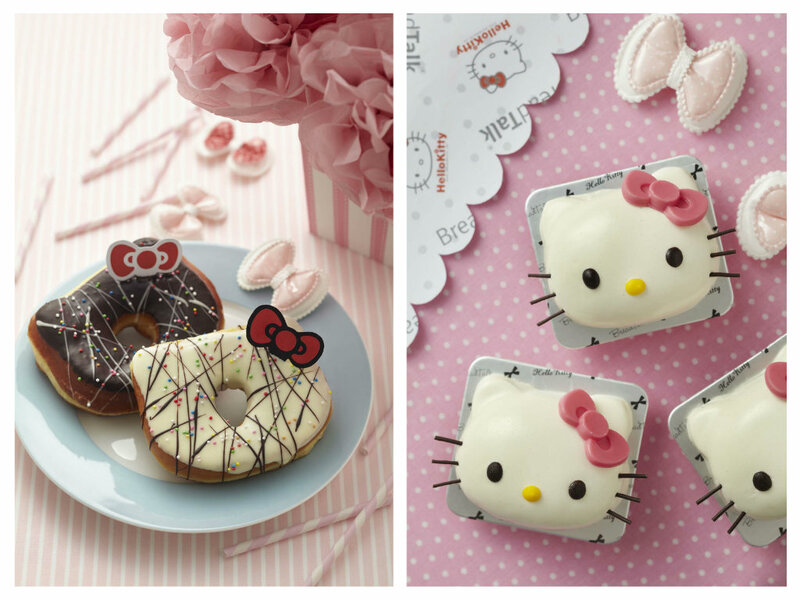 Since August 1, BreadTalk has rolled out a series of Hello Kitty creations, including whole cakes, donuts and buns, all of which bearing the trademark Hello Kitty design. There are even Hello Kitty boxes and packaging, specially designed for this collaboration! 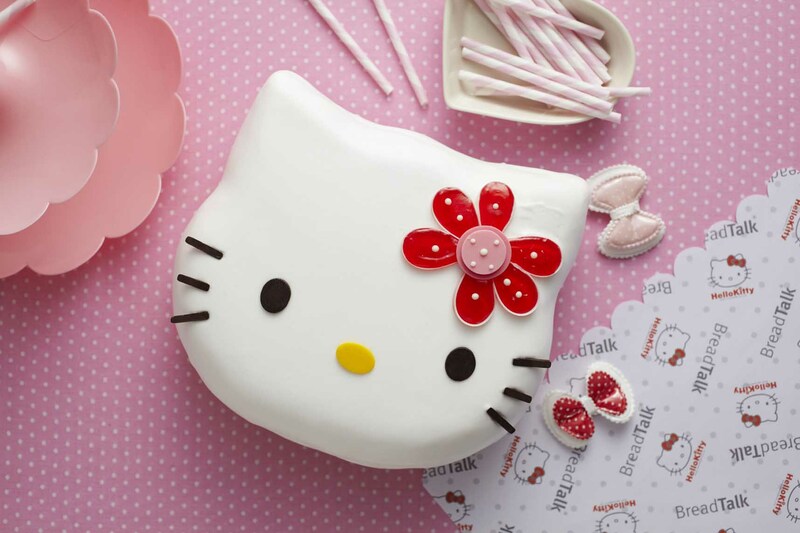 You can choose from four Hello Kitty whole cakes ($42 each) – Happy Chic, Kitty In Love, Little Miss Sunshine, and Kitty Next Door. Each vanilla chiffon cake is generously coated with fresh cream and topped with fruit slices and chocolate leaves. Happy Chic is available in-store; advance orders are required for the remaining three cake designs. Besides whole cakes, look out for Kitty In Pink ($4.20/slice), a tiramisu cake; Kitty In Black and Kitty In White ($1.50 each), Hello Kitty-shaped donuts glazed in dark or white chocolate sauce; and Pocket Full Of Berries ($2.50), made up of fresh cream and strawberries sandwiched between to bread buns. 1. Cats of the World Photo Exhibition and Purrzaar Are Back! Love cats and browsing flea markets? 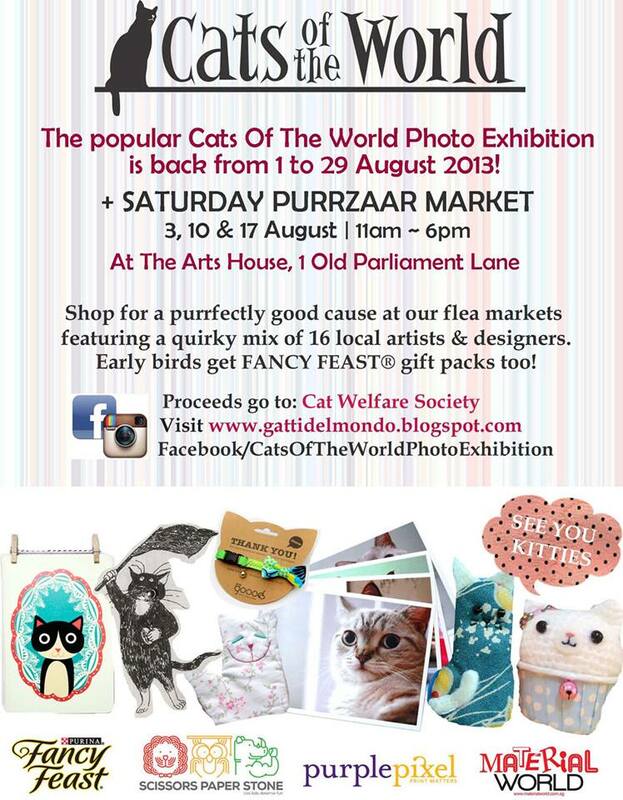 Enjoy the best of both worlds at Purrzaar, a feline-themed flea market that’s held in conjunction with the month-long Cats of the World Photo Exhibition this August! Held over three Saturdays (August 3, 10 and 17), this year’s Purrzaar boasts 18 vendors – the highest number of vendors they’ve had since its launch in 2011! Own a kitty? Fancy Feast will be giving away door gifts, which each consists of their cat food products (while stocks last). As the official media partner of Cats of the World Photo Exhibition and Purrzaar, Material World will be featuring different vendors every week and giving you a sneak peek at what they will be selling. This week, check out My Grandma’s Patchwork, SlothStudio and Dainty Hands. Our furry felines communicate joy and laughter and grant us wishes beyond our wildest imagination. 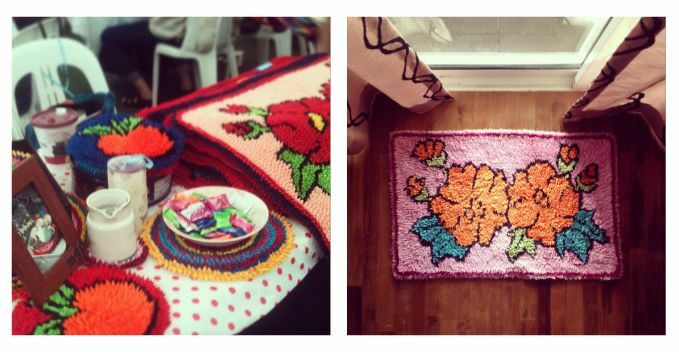 Each and every one is special – just like every doormat and coaster at My Grandma’s Patchwork! No, the name of this shop isn’t an allusion to all-things vintage. Quite literally, the products you see at My Grandma’s Patchwork are all 100-percent handmade by founder Hui Ying’s grandmother in Malaysia! Grandma Tan started sewing in the 1990s, producing coasters and doormats from remnant pieces of cloth from apparel factories. It’s no easy work; small pieces of cloth are cut out and folded into little triangles, which are then painstakingly sewn unto the base cloth. For more than 20 years, Grandma Tan has been giving her finished products as gifts to her loved ones. In 2011, Hui Ying decided to bring this dying form of art to Singapore through flea markets. 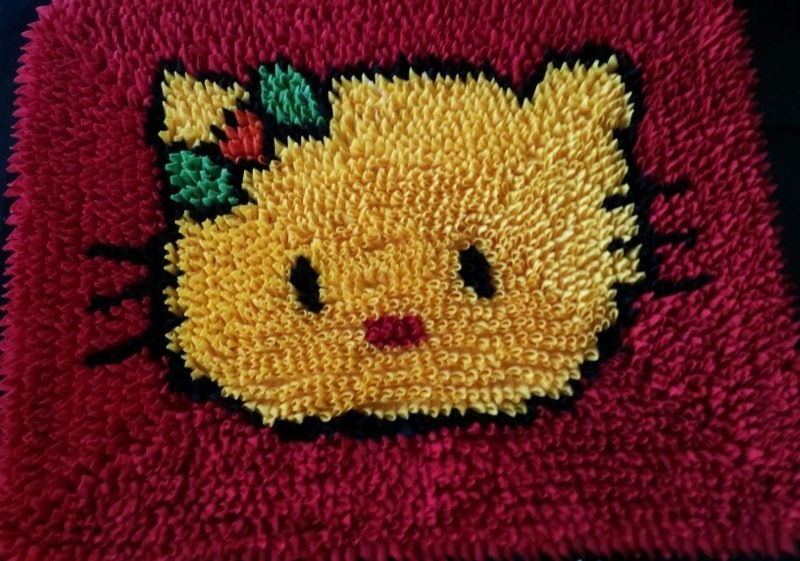 One of the items you can expect at My Grandma’s Patchwork at Purrzaar is a variety of feline doormats – they even come in smaller sizes that are perfect for your cat! Initially an online nickname to showcase the experimental artworks of local artists Ng Ling Tze and Terence Koh, SlothStudio was incorporated five years ago after the two decided artworks and handmade crafts are their passion. Their love of cats began when they adopted their first few cats. “Their awesome behaviour, attitude and affection never cease to amaze us, always inspiring us to draw. We never looked back since,” says Ling Tze. SlothStudio will be showcasing a whole lot of lovely creations at Purrzaar, from wearable art (brooches, earrings, rings) and tote bags to notebooks and patchwork blankets. We can’t wait! Cats are such endearing yet scheming employers! When you’re a student and a community caregiver to at least 20 cats at the same time, money would be a very big issue. That’s what prompted Christine to start selling handicrafts to help defray the cost from hefty vet bills in 2006. Then came Purrzaar and the rest, as they say, is history. 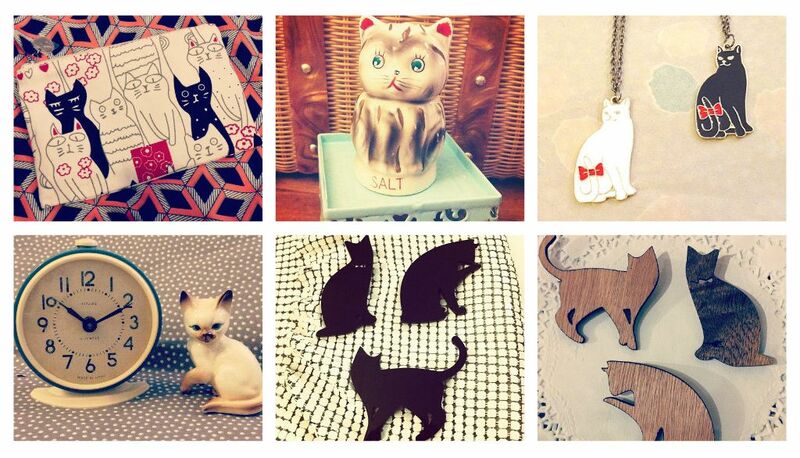 This year, Dainty Hands will be selling cat-related accessories lovingly handpicked by Christine whenever she travelled. You can also expect one of Dainty Hands’ signature products, silhouette pouches. Purrzaar will be held at The Arts House, from 11am to 6pm, on August 3, 10 and 17, 2013. Admission is free. As the official media partner of Cats of the World Photo Exhibition and Purrzaar, Material World will be featuring different vendors every week and giving you a sneak peek at what they will be selling. 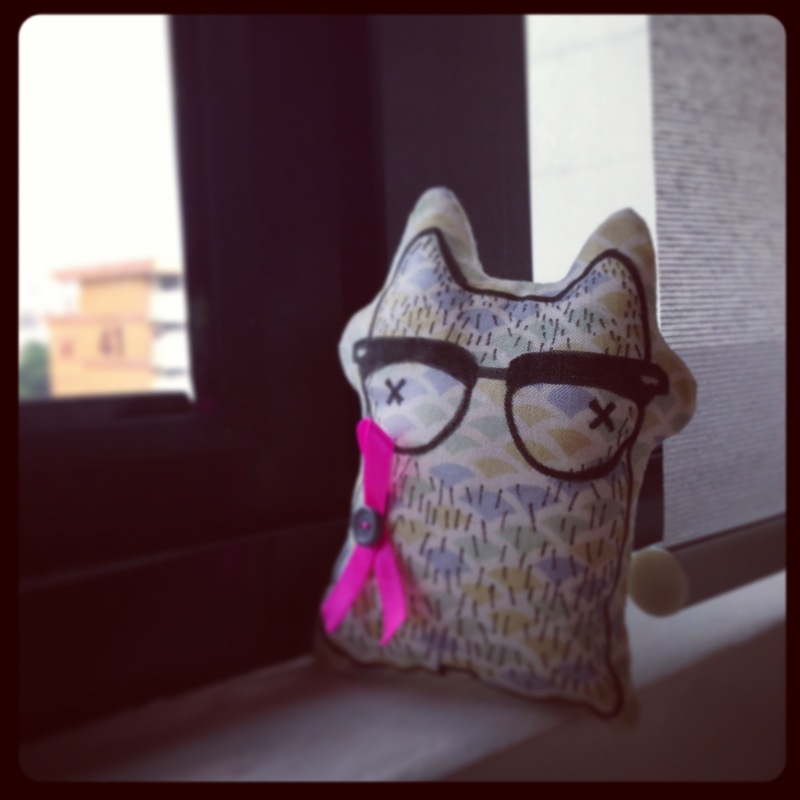 This week, check out StuffSusieMade and Momshoo. Cats tend to be aloof but if you take the time to know them, they’ll do their best to love you back! Owner Susanna’s love of crochet began when she was only 10 years old – and her passion hasn’t wavered since. This year, besides the ever-popular Kitty Cupcakes (talk about guilt-free indulgence! 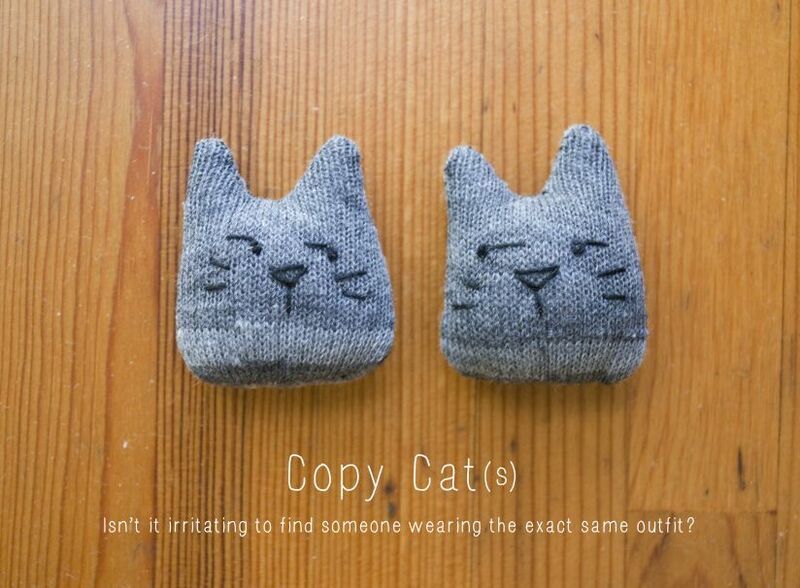 ), she will also be bringing in a whole bunch of other knitted cat-themed items, including little catnip-filled fishes for your feline friends. Cats are the most manja creatures around; you just have to squat down, and they would come rub themselves against you. 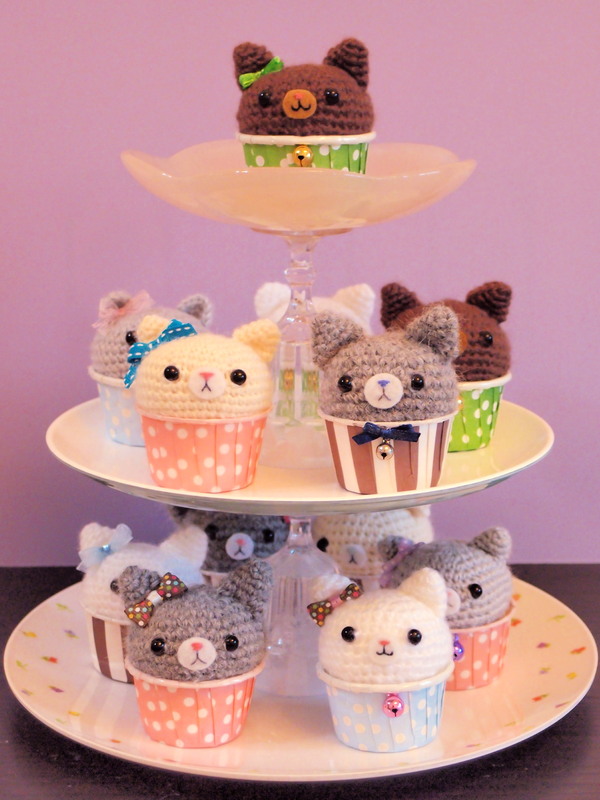 Started in 2009 by Shu Ning and her mum, Momshoo features hand-stitched/hand-knitted whimsical creations. 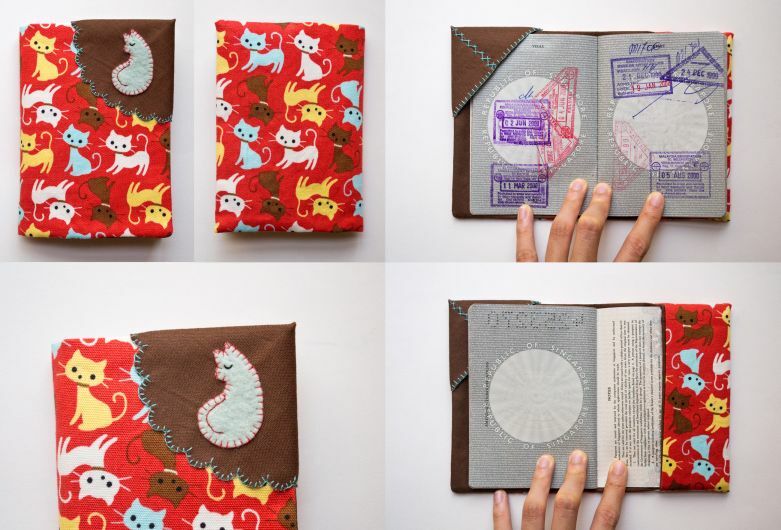 At Purrzaar, you can expect to see a plenty of lovingly made items from the mother-daughter duo, including cat brooches, pouches, and fabric passport covers. Since its inception in 2007, the annual Cats Of The World Photo Exhibition (COTW) has gotten increasingly popular with the cat-loving community in Singapore. We spoke to Carlyn Law, one of the two founders of COTW, as she shares her passion for cats and the story behind the photo exhibition. Material World: How did your love for cats come about? 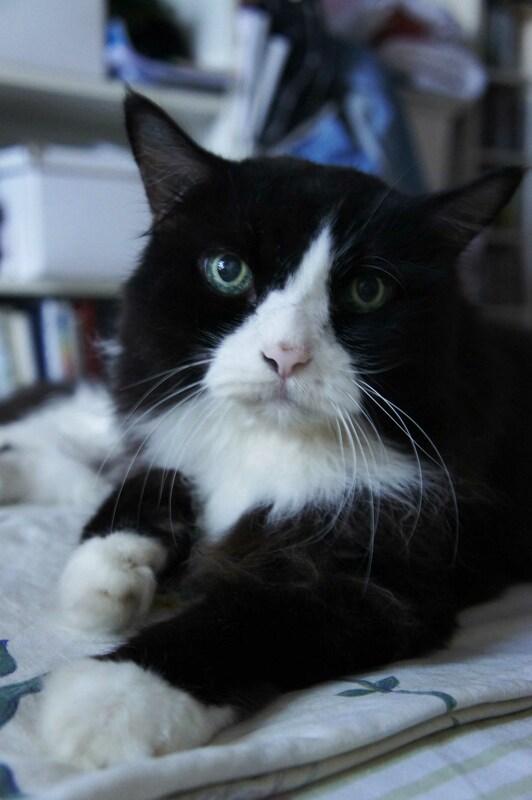 Carlyn Law: My love for cats stemmed from our first cat Jarvis, whom my sister adopted almost 20 years ago at SPCA. He’s still doing very well now! To be honest, I was terrified of cats at first. I was glad I was in my rollerblades when I first met Jarvis, because I instantly glided away, not wanting him to come anywhere near me. Little did I know, the four-month-old kitten loved to play, and he started chasing me! After a couple of weeks, I got sick of walking around on wheels at home … and I succumbed to his charms. Who can resist a little cute harmless furball? Meet Jarvis, the cat that changed Carlyn’s life. MW: What makes cats special? CL: Cats are special because they all have such unique personalities and they have so much love to give. They can’t be bossed around or conquered. Their independent, smart ways make them fun to study and wonderful to love. They are affectionate and make such great companions for young and old. Even my parents who didn’t approve of cats at first now treat our cats as their children. Plus, cats are so beautiful and photogenic – that’s why the Internet loves them! MW: What do you think are some of the biggest misconceptions about cats? CL: That they are aloof (not true; they just choose to ignore you), and that they are bad for babies or kids (in fact, when kids are introduced to cats from a young age, the former may develop a stronger immune system). According to the journal Pediatrics, researchers say babies who grow up in homes with a pet — namely a dog or a cat — are less likely to get sick than children who live pet-free. You can read more about it here. MW: What inspired you to launch COTW? CL: I began amassing a lot of cat photos on my travels. I also have many friends who love cats and we often shared our cat photos. Then I thought, hey, we could do this as a fun community project, opening it to the public and raising money for the Cat Welfare Society (CWS). We started with a small pool of contributors and partnered with CWS. And ever since, the number of participating photographers has grown to include people from all walks of life! I think COTW is a great platform for cat lovers to unashamedly indulge in our love for our feline fans and go gaga over the photos. MW: Please share your absolute favourite photo from the exhibition. CL: Oh my, it’s so hard to pick one! I love all of them and there are so many that we couldn’t exhibit (sorry guys!). If I have to pick one, it has to be “Watching & Hoping”, taken by my friend Christopher Tan in Istanbul, Turkey. It was featured in the first exhibition in 2007. 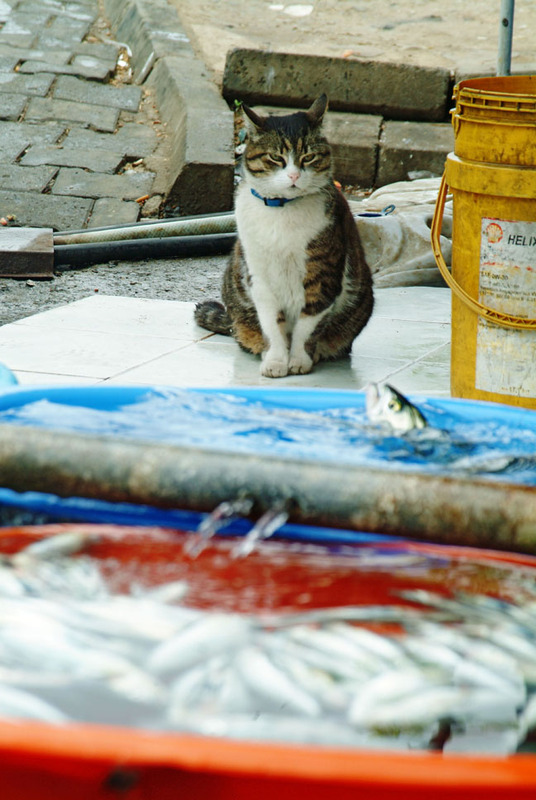 The timing of the photo is purrfect as the cat watched and hatched a plot to go after a fish which came up for breath. MW: So how did Purrzaar come about? CL: We were selling the cat photos all along to raise money for CWS and made them into postcards and magnets. We also invited CWS to have a booth so they could sell their merchandise to raise funds and also educate people on the welfare of our community cats. Then people started approaching us to rent a stall because they have many quirky cat-themed merchandise to sell. Most of them are also made by local artists and designers so we thought it would be a great idea to expand the concept and support our local community of artists! They are also cat lovers and are more than happy to donate part of their proceeds to raise money for CWS – for which we are very thankful. It’s not about making money but finding a cause to connect people and creating an outlet for them to showcase their creativity. MW: What are some of the challenges you face organising COTW and Purrzaar? CL: It is a challenge even though it is an annual affair! Noelle and I run a PR agency (along with two other partners) and, on top of our workload, we handle the publicity for COTW and curate the exhibition and liaise with the contributors, venue operator, and Purrzaar vendors. It won’t be possible without our sponsors since this is a non-profit project. Our sponsors include PurplePixel, who sponsored the postcards for the last few years; Scissors Paper Stone, who sponsored the printing of photos for the exhibition this year; Fancy Feast, who sponsored the goodie bags for the Purrzaars; and, of course, Material World, for being our media partner this time! MW: Can we expect another COTW and Purrzaar next year? CL: We hope so, as long as people love it and will support our cause! We try to make it interesting by injecting new elements every year. For example, last year we introduced a literary aspect where famous cat lovers like Goh Boon Teck, Karen Tan, Alfian Sa’at, and Irene Ang contributed proses, poems and short stories about cats. This year, we have created an Instagram cat-egory, which has proven to be extremely popular! All year round, cat lovers can also share their photos by hashtagging #catsoftheworldphotoexhibition and we will share some of the pictures on our Facebook page too. It’s all about sharing! Carlyn Law, aka Carla, is mummy to four cats – Jarvis, Mimi, Lola and Lucia. They are all adopted and rescued. Cats Of The World Photo Exhibition will be held from August 1-29, 2013, at The Arts House. This year, due to the amazing response, there will be three Purrzaar markets held over three Saturdays – August 3, 10 and 17 – from 11am to 6pm. Rental proceeds go to CWS. As the official media partner of Cats of the World Photo Exhibition and Purrzaar, Material World will be featuring different vendors every week and giving you a sneak peek at what they will be selling. This week, check out MunchyNeko and Our Mama Store. 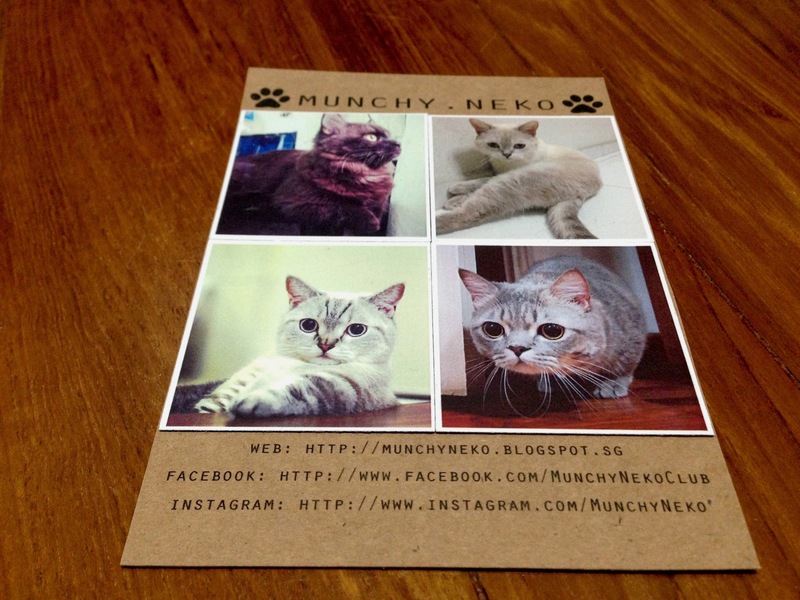 Launched in March 2013, MunchyNeko is the brainchild of four cat owners who were brought together by their love for good food (Munchy) and their Muchkin pet cats (Neko – “cat” in Japanese). These kitties could get away with any crime. Featuring adorable photos of their beloved cats on postcards, tote bags, mugs, greeting cards, and more, MunchyNeko hopes to share those whimsical and endearing moments with fellow feline lovers. Check out more photos of the four superstars on Facebook and Instagram. Started by two ladies who were born on the same day, month and year, Our Mama Store stocks unique, interesting items lovingly curated by them from around the world. 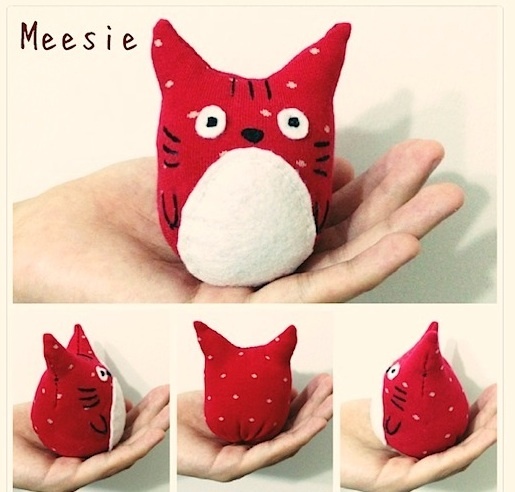 At this year’s Purrzaar, apart from selling lifestyle items that are currently available at their online shop, they will also be selling handmade cat sock dolls, like the ones below. To get things started, check out three of the 18 vendors here. Stocking carefully curated fashion and lifestyle items from around the world, Dulcetfig carries vintage clothes, bags and accessories that will appeal to fans of all-things retro. You can browse their collection online but, if you haven’t already, go check out their brick-and-mortar shop at 4I Haji Lane for a furry surprise! 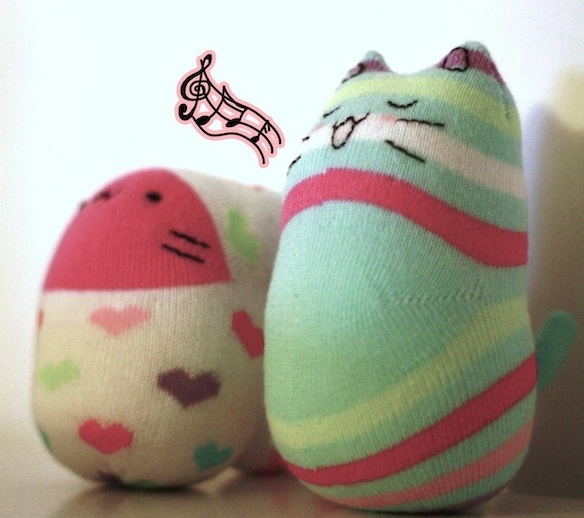 Lovingly dubbed the Dulcetkittehs (they even have a Facebook page! 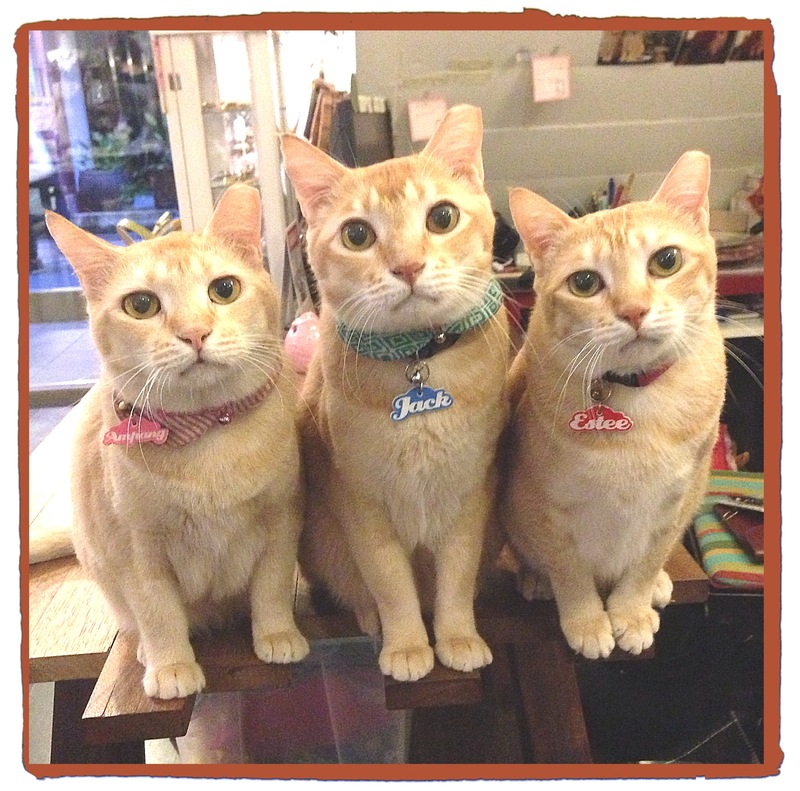 ), the three adorable cats have taken up residence at the shop ever since they were adopted by the owner Lovie. At this year’s Purrzaar, you can expect a whole lot of too-cute, quirky items from Dulcetfig – from pouches and necklaces for the humans, to catnip-filled toys for the cats! Look out for the limited-edition Dulcetkittehs tote bag, which is currently in the works – and something tells me that’s going to be one hot seller! 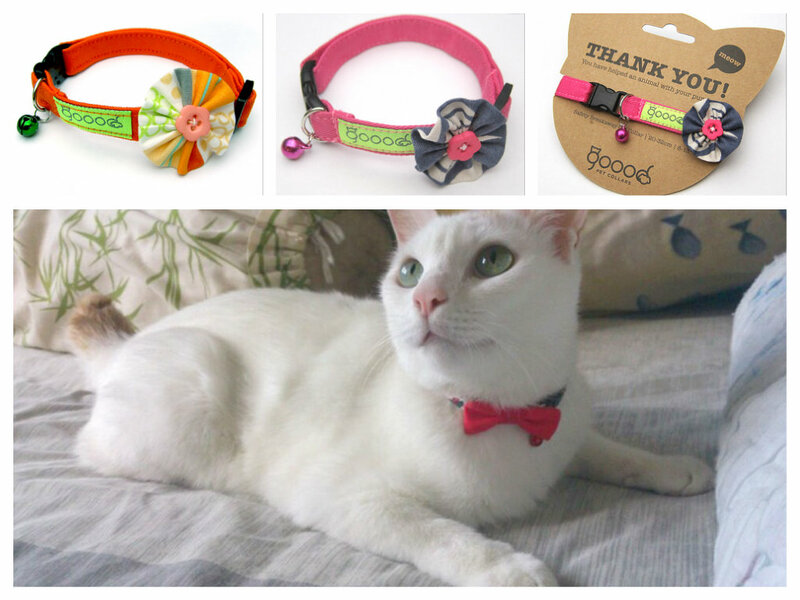 Founded in 2010, GOOOD Pet Collars not only creates fashionable collars for cats (and dogs), but also gives back to the furry community – with every collar sold, GOOOD Pet Collars donates five cans of cat food to their adopted animal shelter, Animal Lovers League. That’s not all; as part of the Sew for GOOOD initiative, they are also raising funds for the Breast Cancer Foundation this year through the sale of stuffed cat pillows. 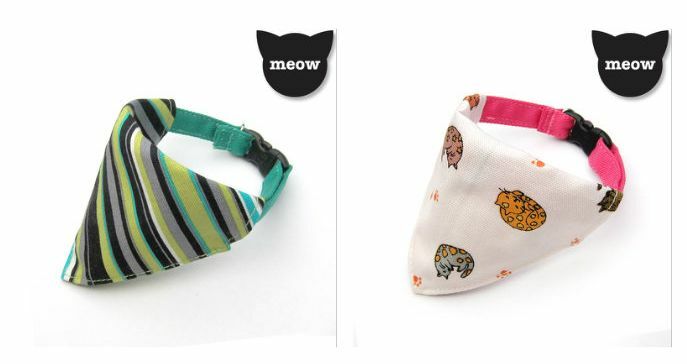 Some of the other items GOOOD Pet Collars will be selling at Purrzaar include handmade cat collars and cat-faced felt pouches. 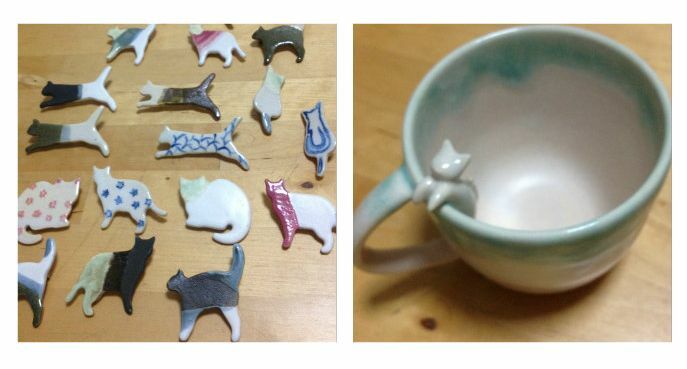 A lot of heart and painstaking effort go into creating every single piece of item at Amy Woo Ceramics – each ceramic item is 100-percent handmade, and owner Amy is still conscientiously producing more for Purrzaar as we speak! Here’s a sneak peek at what she has in store for you. The Cats Of The World Photo Exhibition and Purrzaar are about two months away – and, as their official media partner, the cat-loving team at Material World can’t be even more excited! From now until the launch of the exhibition on August 1, we will be running weekly articles for all you feline lovers out there. This week, we spoke to Veron Lau, the president of the Cat Welfare Society – the adopted charity of Cats Of The World Photo Exhibition and Purrzaar – on the situation of cats in Singapore. Material World: As the adopted charity, how is CWS involved in the exhibition and Purrzaar? Veron Lau: We are invited to set up a booth for education and fundraising through selling of our merchandise. We also publicise the event to our network of supporters. MW: What can we expect at your booth? 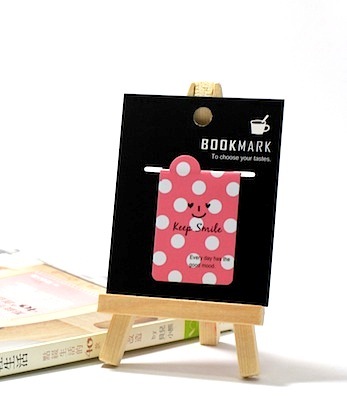 VL: Cat toys, cat-themed stationery, cat-themed apparels, Cat Welfare Society T-shirts, decals, and lots more! MW: In what ways would Cats Of the World Photo Exhibition and Purrzarr help enhance the welfare of cats? VL: The event brings many cat lovers and cat-curious people together. This is always a good thing in nurturing a growing community of people to help cats, save cats and adopt cats. The stories behind the photos in the exhibition are also always inspiring, and can encourage a greater love for cats. Through the work of Sixth Sense Communications & PR Consultancy, the event also gets fantastic coverage in the media, reaching out to a larger audience and hopefully even those that do not care for cats to remind them that there is a sizeable community that does! MW: On the same note, have you noticed any improvement in the welfare of cats over the years? 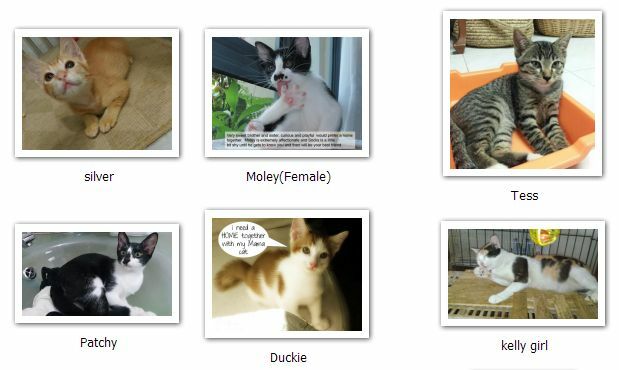 VL: Through the efforts of over 1,000 caregivers all over Singapore in sterilisation, fostering and rehoming, our stray cat population has been more than halved. The culling rate has also dropped from 13,000 cats/year 10 years ago to less than 4,000/year now. Of course, there is still much more to do before we reach our goal – where no cat goes uncared for as pets or community cats. Many estates already experience the joy of living with a well-managed community cat population, but abandonment remains an issue in disrupting this progress. That is why more focus is now placed in ensuring that cat owners play their part in keeping their cats responsibly. MW: That’s really great news! VL: It is, and it is really due to the perseverance of volunteers and caregivers who never give up on their sterilisation and caregiving efforts even in the face of resistance and hardships. Some of them started what they were doing even when it seemed so impossible, when the cat population was large and no one believed a humane method would work. Even when progress was finally at hand, they faced a huge setback during the SARS period when there was an overreaction towards cats; their efforts were washed away by mass culling efforts around the country. But they never wavered and continued to help, save, sterilise and rehome cats. And now, thanks to them, our society is taking a positive turn towards placing more emphasis on animal welfare. MW: What can the public do to help further improve the situation? The Public Adoption Bulletin Board at catwelfare.org. MW: What’s the most heartwarming experience you’ve had at CWS? VL: We have seen people go to great lengths to save a cat – jumping over expressway barriers, crawling under trucks, communities coming together over an abused or injured cat, etc. Cats inspire us with their beauty, their intelligence, their dignity and their vulnerability. However, it is the people that love them and their quiet heroism that inspire us to carry on with our everyday work. MW: Give us three reasons why cats make the greatest pets, ever. VL: Cats have a great capacity to love and reciprocate; they are easy to toilet or litter train; and their purrs have been proven to lower blood pressure in humans! Cats Of The World Photo Exhibition will be held from August 1-29, 2013, at The Arts House. This year, due to the amazing response, there will be three Purrzaar markets held over three Saturdays – August 3, 10 and 17 – from 11am to 6pm. Rental proceeds go to CWS. Cats Of The World Photo Exhibition and Purrzaar Are Back! Calling all cat lovers! The annual Cats Of The World Photo Exhibition and Purrzaar will be back in August 2013 at The Arts House, with a new category dedicated to cat photos uploaded on Instagram. 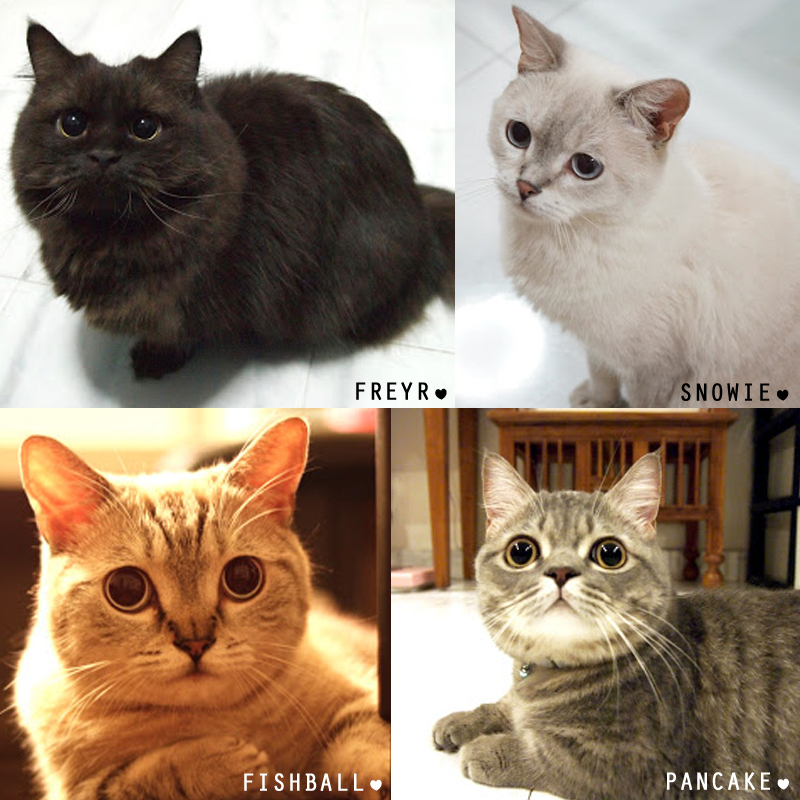 Launched in 2007, this non-profit community project showcases snapshots of cats in unique situations or settings (be it in Singapore or overseas), and which capture their colourful personalities. The proceeds from the sale of shortlisted photos and postcards will go to the Cat Welfare Society, a non-profit organisation that strives to improve the welfare of stray cats in Singapore. Some of the amazing photos from previous Cats Of The World Photo Exhibitions. Think your photographs of cats can make the cut? There’s still time! Submit those photos to the organisers at sublime.carla@gmail.com by May 30, 2013. For more information on the photo criteria, visit www.gattidelmondo.blogspot.com. This year, there is also a new category that will appeal to the Instagram-loving generation of today. All you have to do is add the hashtag #catsoftheworldphotoexhibition to your cat photo when you upload it on Instagram for a chance to be shortlisted. Make sure your Instagram profile is set to public so the organisers are able to see your hashtagged photos. Shortlisted Instagram photos will be printed in smaller prints. 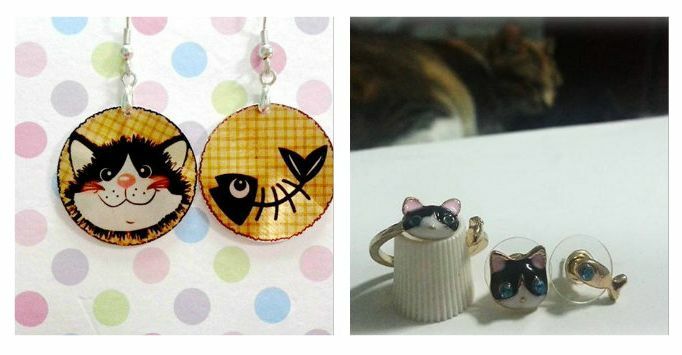 Besides the photo exhibition, you can also look forward to three Saturdays (August 3, 10 and 17) of Purrzaar, a lifestyle market with vendors selling quirky cat-themed merchandise. The animal-crazy team at Material World are proud to announce that we are the official media partner of Cats Of The World Photo Exhibition and Purrzaar. Watch this space for more updates!